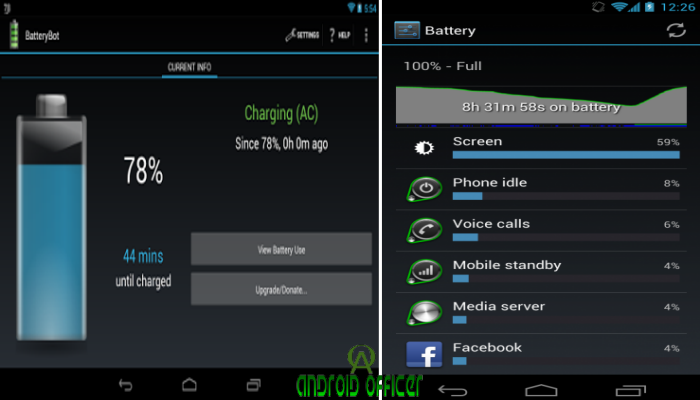 How to Check Battery Percentage on Android last updated on 11-Feb-20116. Battery backup or life is a very important part to look for, and a major issue for most android devices. Before having an Android powered Smartphone or tablet, we check reviews for battery backup and then think of it. 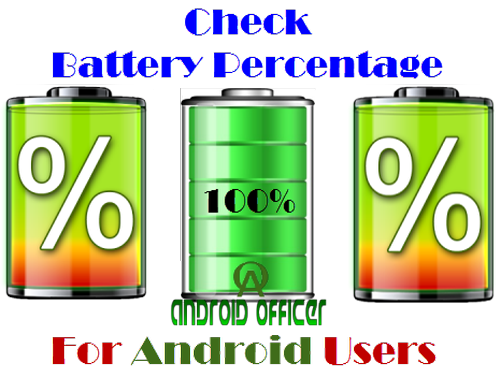 Well, today we are not here to discuss anything about battery backup but going to give you some simple tips by which you can easily check battery percentage or battery level in exact figure on any android device. Many of us wish to see the exact battery level in percentage instead of battery icon that normally shows at the top right and for many cases we need to check the remaining battery percentage of our android Smartphone or tablet specially when planning to root android phone, going to flash custom ROM or may be going out for whole the day. Four option will appear on the screen such as- Phone information, Battery information, Usage statistics and Wifi information. Select the Battery Information which show the remaining Battery Level along with other details such as- battery temperature, time since boot and battery health. 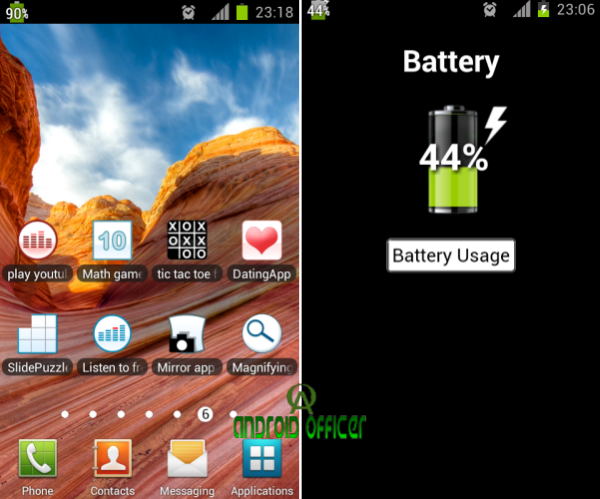 “show battery percentage” is a free app which shows battery percentage on your android phone. Battery percentage is displayed at the top left. Show battery percentage constantly on top and show charging icon when charging and you can see the percentage even when charging. Beautiful color display for different charging level- Green, Orange and Red. “Battery Notifier BT Free” is another great app to display battery percentage right at home screen. Like the previous, battery percentage at the top left. Have low and full battery alarm with repeat intervals. You can check Battery temp (C or F), health, and "plugged/unplugged since" info in dashboard. You can also download and install many other Battery Widget App from the Google Play Store to show battery usage percentage directly from the home screen. As we said, Google introduced battery percentage indicator in status bar with Android 4.4 KitKat but there is no option to enable the feature from Settings menu. If you have Nexus 5 or other Android 4.4 KitKat updated device then follow below guide to enable battery indicator in status bar on Android 4.4 KitKat. 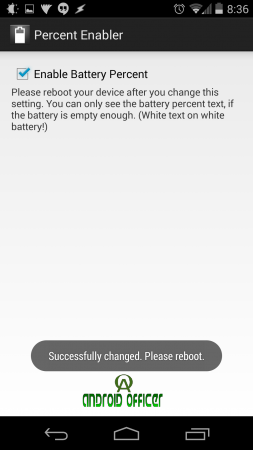 The first method is very simple, download and install the Battery Percent App (created by kroegerama at XDA) and check mark the “Enable Battery Percent” and Reboot your phone. The setting is not liked by most users as the percentage shown in White color, same as the battery drain indicator, means you’ll able to see percentage when battery level reached 50% or below.